The humanitarian emergency in Nigeria "is far from over," according to Doctors Without Borders (MSF). People continue to be displaced due to violence in the northeast and rely on humanitarian assistance to survive. The aid organization Doctors Without Borders (MSF) has released a statement saying that "for the almost two million people forced to leave their homes in northeastern Nigeria over the past nine years, the emergency in the region is far from over." According to MSF, "[p]eople continue to be displaced by the violence on a daily basis." Caught up in a long-running conflict, many people in the states Borno and Yobe struggle to find food, water or shelter. They have to depend on humanitarian assistance to survive, MSF reported. MSF said that delivering aid to north-eastern Nigeria is challenging largely because of the volatile security situation. "Military operations are ongoing in parts of Borno state and attacks occur regularly on roads connecting towns as well as town centers," the organization said in the statement. Poor living conditions in camps for displaced people and a lack of aid have led to "a number of health emergencies, including a recent outbreak of cholera," according to MSF. The UN's Office for the Coordination of Humanitarian Affairs (OCHA) estimates that 800,000 people live in areas out of the reach of aid agencies. Louis Vala, the organization's medical coordinator in Nigeria, said that "MSF had to scale up its activities in [Borno's capital] Maiduguri and in several other towns in Borno and Yobe states in response to a cholera outbreak that was declared by the ministry of health in September 2018." The number of displaced children in the region suffering from malnutrition is "far above the emergency threshold," according to MSF. 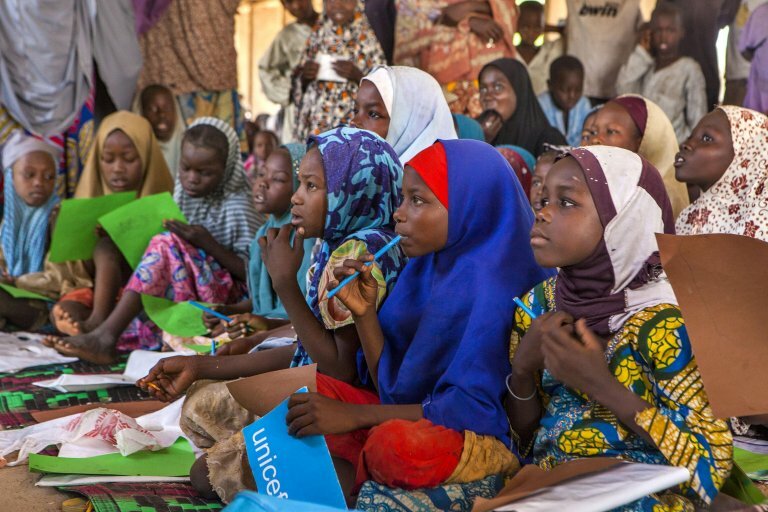 An epidemiological study carried out by the organisation in September 2018 showed that 8.2 percent of children that had arrived in Bama - another city in Borno - since May 2018 suffered from severe acute malnutrition and 20.4 percent had global acute malnutrition. Over 8,000 people reportedly reached Maiduguri in the past two weeks after fleeing rising violence in the north of Borno state. In early January 2019, MSF intervened in Maiduguri to support newly displaced people, providing them with medical support, distributing blankets and soap, and building latrines.